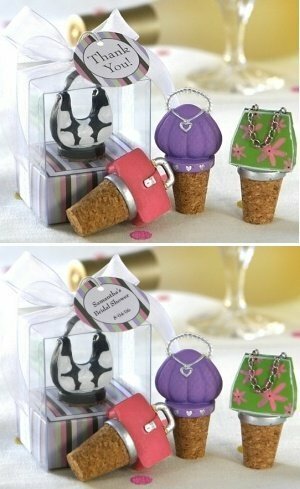 These bottle stoppers are a fun, trendy and useful favor that guests can use for years to come. 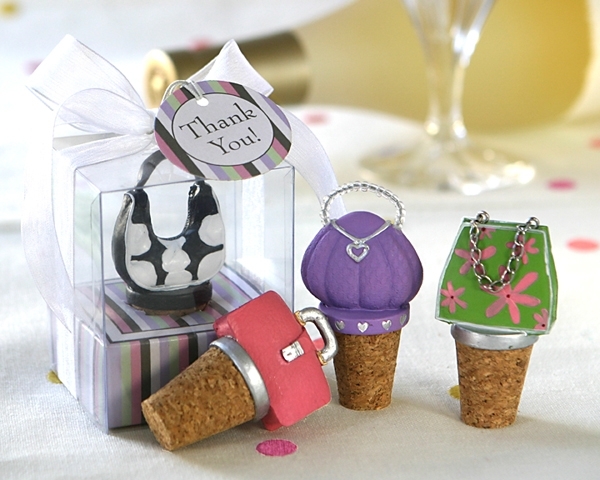 The beautifully designed purse bottle stoppers are sold in sets of 4 - four unique purse designs are included. Each stopper is handpainted and packaged in a pinstriped window gift box that is tied with a sheer ribbon and matching "Thank You" hang tag. Box stands about 3" tall.